Hey yo! It’s been a long time. To make it short, I felt like I needed to have a break. I missed quite a few important things to post here, so I’ll try to catch up, starting with this post. A new Mo’ Wax record! Well, this is absolutely no news, and unless you’ve been living under a rock since the end of summer, you already know it, but there’s a new vinyl with a Mo’ Wax logo on it. And this time it’s music, by Elliott Power. The news first broke in early September with this teaser video on the UNKLE’s Facebook page (why not the Mo’ Wax page?) and the vinyl was available 3 days later. Let’s get this straight : so far, Mo’ Wax is not really resurrected, and technically this record is not a Mo’ Wax release, although it has a Mo’ Wax style catalog number (MWMA001). It’s actually a Marathon Artists release in collaboration with Mo’ Wax. Marathon and Mo’ Wax are no strangers to each other : Marathon was founded by Philippe Ascoli, who was also responsible in the 90’s for Source, a French sub-label of Virgin that, for us in France, was like “our own Mo’ Wax” (check the amazing Source Lab compilations and the Source vs Mo’ Wax promo). Source was also the distro for Mo’ Wax in France, that’s why a lot of my Mo’ Wax records have a Source sticker on it. Oh and by the way, guess who designed the Source logo? None other than Swifty. OK, that was for the footnotes of history. Now back to the topic, this white label, stamped record is Elliott Power’s new single, Murmur, an excellent track with a very 90’s feel to it. Elliott Power is a young artist from London who has already released a few singles on Marathon, and a few of his tracks and remixes can be heard in recent James Lavelle mixes, as well as on his latest Global Underground. Because music talks better than words, in the Youtube playlist below you’ll find the nice video clip of Murmur (featuring James Lavelle in a white suit), a live version and the instrumental version of Murmur, and finally the freshly uploaded NuBrain Mix of the same track. Yes it’s a strange/difficult time to be in the music industry, i’m not anti streaming, but it’s still a very grey area, and how it’s monetised doesn’t seem to be working (especially for artists signed to independent labels) i’m the last of generation that bought music physically and watched music videos on the television. I make music because i enjoy doing it, but it’s bizarre that the product doesn’t seem to worth anything anymore. We know very little about you. To be honest I didn’t know you before the release of Murmur. Can you please introduce yourself? Where do you come from? What’s your background? And may I ask how old you are? I’m Elliott Omar Power-Taiwo (Elliott Power for short), a 26 year old mixed race west Londoner. I’m a product of sound-system culture and grew up around music and multi-culturalism. The Wild Bunch, Soul II Soul, Smith & Mighty, Young Disciples, The Sindecut, Attica Blues etc. are the things my parents would listen too, so that culture, scene and music is familiar and a part of who I am. 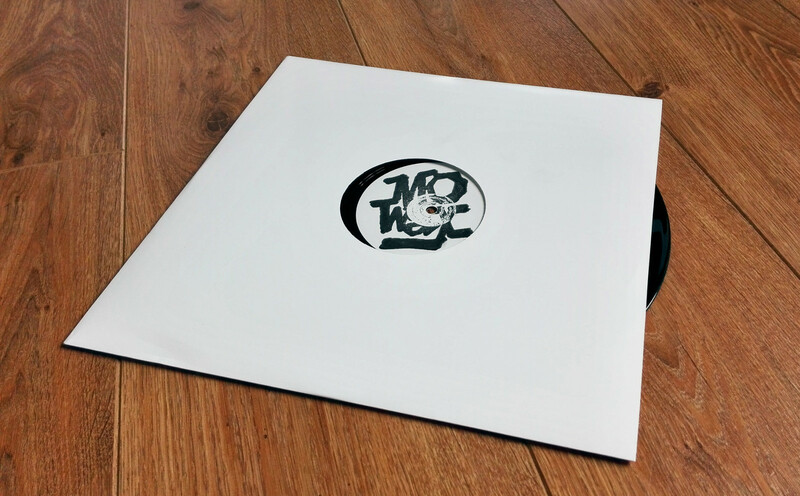 So, you are behind the first Mo’ Wax release since 2002, that’s quite amazing. Does it mean something to you? Were you into Mo’ Wax thing back in the days? It’s an honour to be working with James and releasing on Mo’Wax, the label is almost like an institution full of future relics. My first contact with Mo’Wax was through UNKLE – Psyence Fiction, although my mum would play previous releases from the label in the house like the first Headz compilation and DJ Shadow – Endtroducing, when I was 4, 5 or 6 years old I didn’t realise my mum was cool, I thought everyones parents listened to this type of stuff. ‘Rabbit in Your Headlights’ was my first visual contact with UNKLE and it freighted me as a child of 8/9 years old. It wasn’t until the age 14 around 2004/05 when there was an online streetwear boom and the start of the hypebeast website that I reconnected with the work Mo’wax/James Lavelle through A Bathing Ape and Futura. James was a prominent figure in that scene, and then when I delved into his world deeper, I realised that I already knew some of the Mo’Wax back catalogue through my Mum when I was a small child. So I went deeper into Mo’Wax back catalogue, and was impressed by the world that one guy from Oxford (James) had managed to create as a teenager. I’m very curious as to how this release happened. What’s the story behind it? How did you hook up with James Lavelle? I have been signed to Marathon Artists since 2013, the label is a new independent, run by a guy called Philippe Ascoli who had a label in France in the 90’s called ‘Source’ that had a similar ethos to Mo’Wax . Philippe was also responsible for Mc Solaar and has various other credentials. Philippe would come to London and buy records from Honest Jon’s when James was working there as teenager, they built up a relationship overtime, then when James started Mo’Wax Philippe was distributing Mo’Wax releases through Virgin France and James putting out French releases through Mo’Wax (Le Funk Mob). Anyway I did this track (from the forth coming album) around the time James Lavelle had put out the Mo’wax book, Philippe reconnected with James at the book launch and said “James i’ve signed this kid called Elliott Power, it’s like what we were doing back in the day, but modern, you need to hear him” James received the track, he remixed it, then we built up a relationship over a 3 month period, he then heard the frameworks of my whole album and said “how would you feel about putting this out under the Mo’Wax banner, obviously I said yes, it’s an honour to be affiliated with one of the most important British artists/Labels ever. Also, the Mo’ Wax status is not clear to me. Do you know if Mo’ Wax is really relaunching or if it will continue as a collaboration with Marathon? I’m still in my deal with Marathon so this is a Mo’Wax/Marathon collaboration release. so the cat numbers on vinyls are not a continuation of the existing Mo’wax cat numbers. (collab cat no: MWMA001 and so on) to be honest no plans have been discussed passed the point of my album, so I don’t know if James is relaunching Mo’Wax or continuing to collaborate with Marathon, he is unsure. I’m wondering, who’s that guy singing with you on Murmur? The guy singing on Murmur is my production partner Dorian Lutz aka Mïnk he is a very gifted musician and vocalist, and friend that i’ve grown up with, he is the brains behind me, i’m just a vibe guy with ideas, he brings my ideas to life. He will be releasing his own material when the time is right too. I guess the answer is yes, but do you produce all of your music yourself? Do you have process when it comes to write a new song? No i don’t produce in the typical sense, I can’t play an instruments, I change the way I work when I feel i’m going through a spell of making weak demos. The way I work at the moment though is very simple. I chop up a 4 or 8 bar loop, groove or whatever from an existing song (in Garage Band) nothing fancy, make the frameworks of a song, in terms of lyrics, melody rough structure, general gist, then present it to Dorian who then adds analogue synths, new drums, instrumentation (basically makes a new song, in the style of the demo i presented to him). Then we build on that, the song may change between roughly 3 or 6 times in terms of stages. Your music has a big 90’s feel to it. Murmur sounds like an ode to Massive Attack, without sounding like a pale copy, though! Also, on Discogs your releases are filed in the “Trip-Hop” genre, which is probably the most catch-all and misused term in music since it first appeared back in 94. How would you define your music? Are you comfortable with the Massive Attack comparison? I describe my music as simply ‘Electronic’ i’m not really interested in pigeonholing myself, also my album will be a good example of a broader musical spectrum than just ‘Trip-Hop’ In the music industry you will always be compared to someone/something that came before you. Massive Attack were ground breaking they paved the way for artists like me to have a voice 25/26 years on from Blue Lines, so yes I’m flattered by the comparison. Everything has already been done, there is no point in trying to be unique, just be authentic, as I previously mentioned my parents are from the soundsystem culture, and blues clubs and the proto-House,Techno and Jungle/Drum’n’Bass, thats their music and that music was ingrained in me and my upbringing. I’m a firm believer in the unwritten 20 year trend cycle. It’s not a coincidence that Neneh Cherry and Cameron Mcvey’s Daughters are now in Music (Mabel Mcvey and Tyson Mcvey), Horace Andy’s son Tafari Hinds played me some ideas he’s been working on, my parents aren’t in the business or in any kind of creative industry, but it’s interesting how we are linked by a friend or co-worker etc, history repeating itself in some kind of way. You were seen spinning some tunes at the Goodhood launch party last week. Are you also a DJ, or was it just for fun? I’m no DJ!!! to call myself one would be disrespectful to the real masters of turntablism. GoodHood was just me playing songs in a shop whilst people drank beers. That’s as far as my CD-J’ing goes. I may be totally wrong, but you are into photography, right? I did a degree in photography and art history so that i didn’t have to get a real job and so i could meet girls when i was 18-21 I have shot a few high profile people but i’m no real photographer, my hearts never been in it, but yes as a hobby I guess. To be honest I don’t even consider myself a real musician i’m just blagging it like everyone else. I’m just someone that has ideas, taste and good references and an ear to the street, almost like a sort of Hiroshi Fujiwara type figure. First things First is my debut album (early 2016) It’s a very familiar but foreign at the same time, with a nod to the past but looking towards the future. It’s a great body of work, a real journey from start to finish, i feel that the concept of making a strong body of work has been lost, with the short attention spans of the internet generation. James has played me New UNKLE material but thats all I can say on that front, but one thing I will say that the energy in the new UNKLE camp is great. James is the most passionate person I have ever met in my life, it’s no surprise he has done the things he has in his life and gave us all the gift of Mo’Wax. Thanks for a great read Ben!